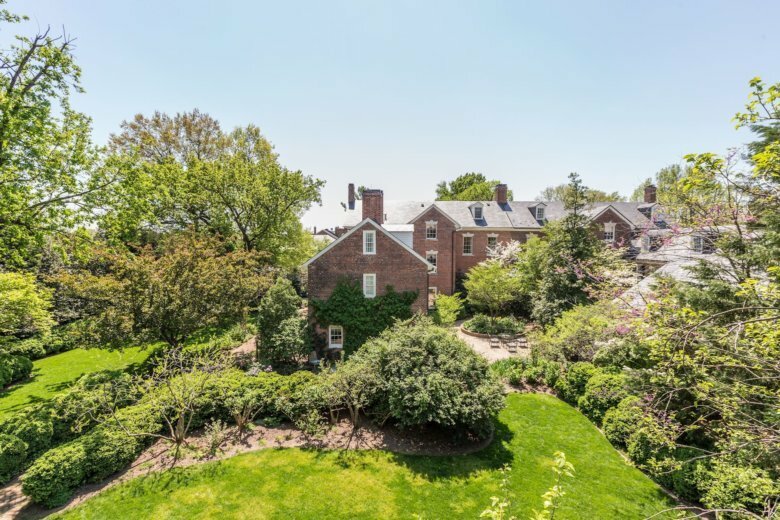 An historic home for sale in Old Town Alexandria, Virginia, built in 1795 that served as the boyhood home of Confederate Gen. Robert E. Lee just had a big price cut. 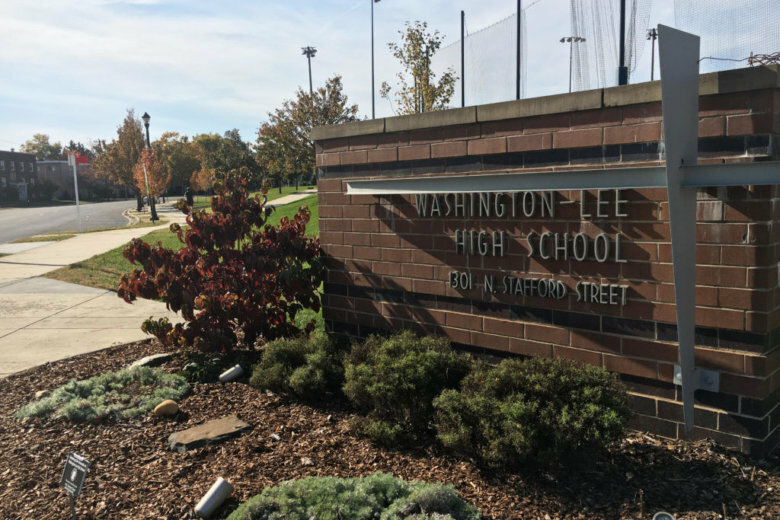 The Arlington School Board voted earlier this year to change the name of Washington-Lee High School. 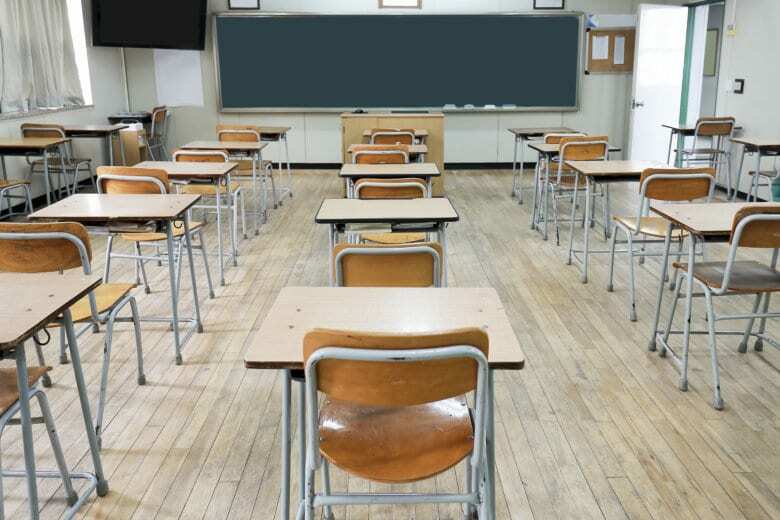 The board is scheduled to meet Thursday and consider two recommended alternatives. On My Take, Clinton Yates offers his thoughts an Arlington high school that is looking to change its namesake. 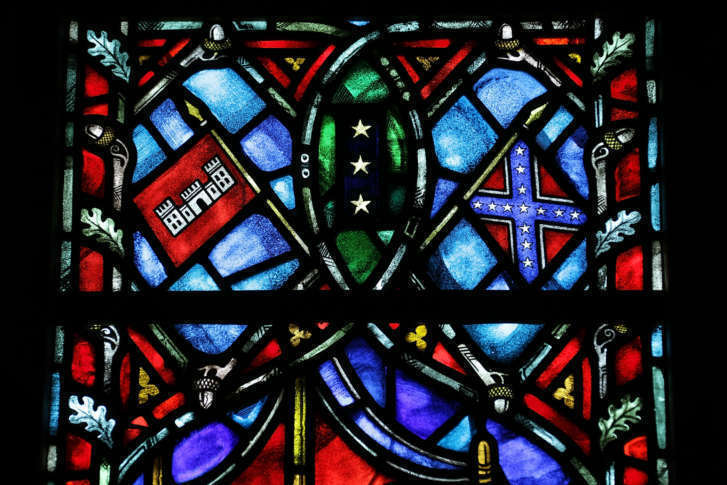 A man facing a capital murder charge has asked that a portrait of General Robert E. Lee and other Confederate memorabilia be removed from the courtroom where his trial will be held. 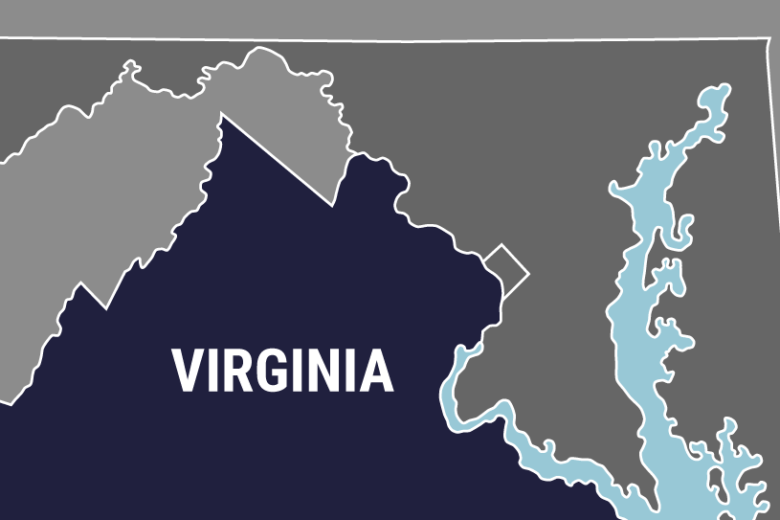 The Staunton School Board voted 4-2 Monday to change the name of Robert E. Lee High School. The board plans to launch an online survey this week for community input on what to rename the school. 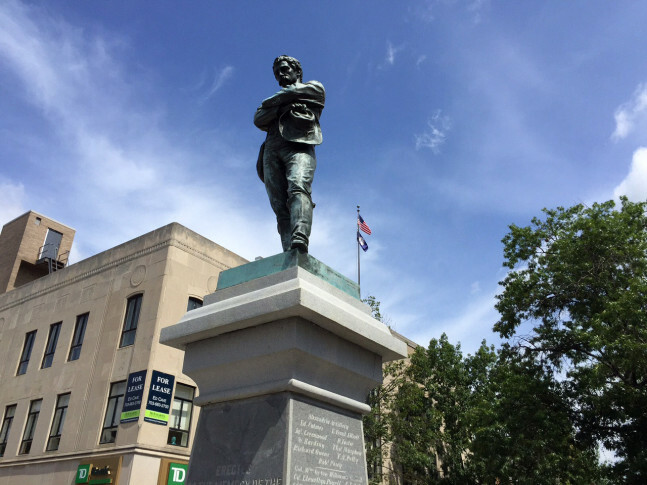 The vandalism occurs a week ahead of the one-year anniversary of the deadly white nationalist rally in Charlottesville that was organized in part as a protest to plans to remove a Lee Statue there. See photos. 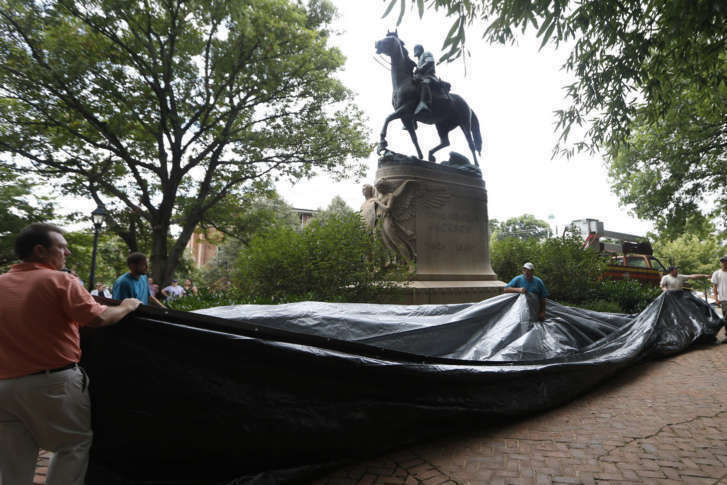 A painting of Robert E. Lee that hung in Alexandria City Hall for years has been quietly removed and relocated to the city’s history museum. 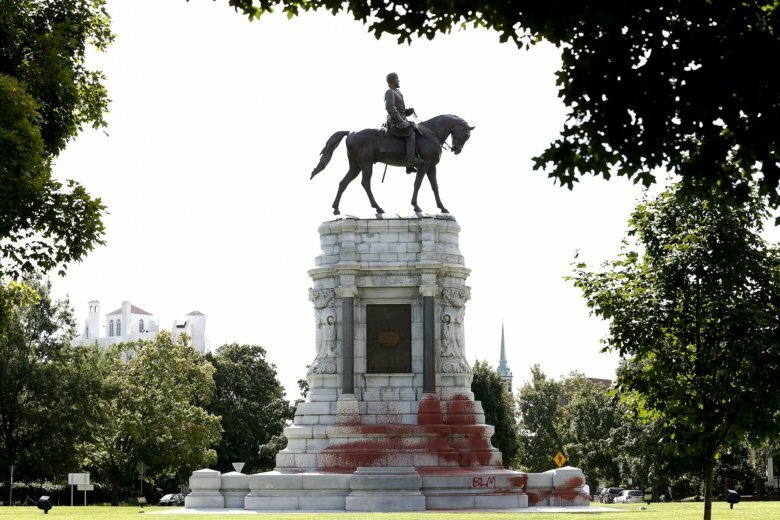 Six weeks after a white nationalist rally and counter protests erupted in Charlottesville, residents of the community are still grappling with the deadly violence and the fate of two statues. Rep. John Delaney says he doesn’t believe monuments meant to glorify the Confederacy belong on federal land, unless they serve the purpose of educating people and are in proper context. 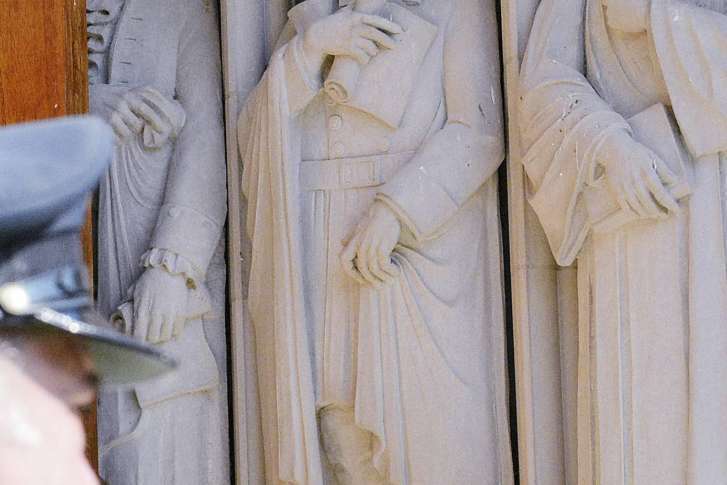 The university said it removed the carved limestone likeness early Saturday morning from Duke Chapel amid a national debate about monuments to the Confederacy. 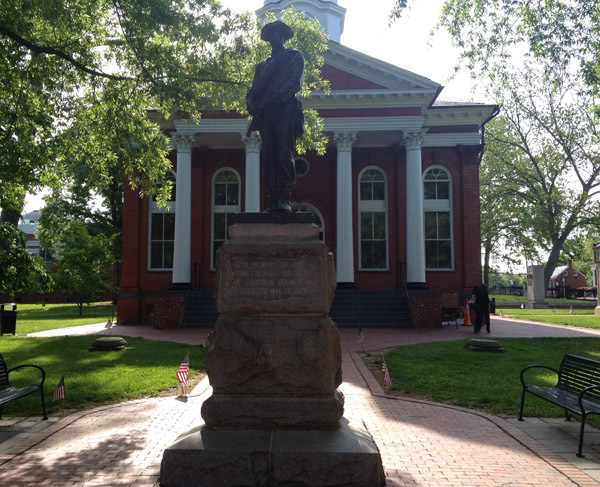 Some local leaders are renewing attempts to remove a Confederate soldier statue from the grounds of the Loudoun County Courthouse. 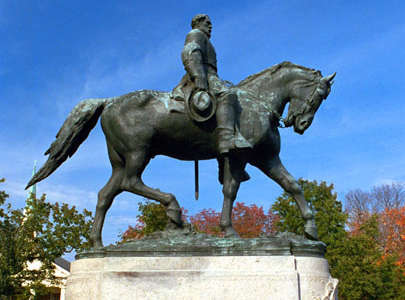 The Charlottesville City Council voted 3–2 to remove a statue of Robert E. Lee from a Charlottesville park.